Ananuri is a castle complex on the Aragvi River in Georgia, about 72 kilometres from Tbilisi. 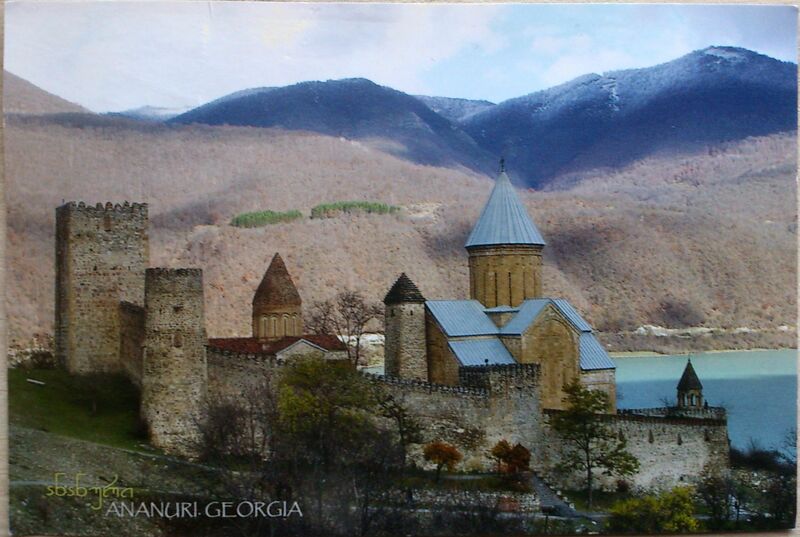 Ananuri was a castle and seat of the eristavis (Dukes) of Aragvi, a feudal dynasty which ruled the area from the 13th century. The fortress remained in use until the beginning of the 19th century. In 2007, the complex has been on the tentative list for inclusion into the UNESCO World Heritage Site program.